I dated a lot of girls all through high school, and in college I dated a young lady for about eight months. 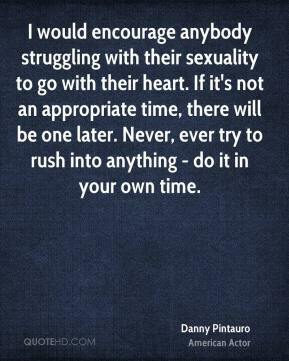 I would encourage anybody struggling with their sexuality to go with their heart. If it's not an appropriate time, there will be one later. Never, ever try to rush into anything - do it in your own time.